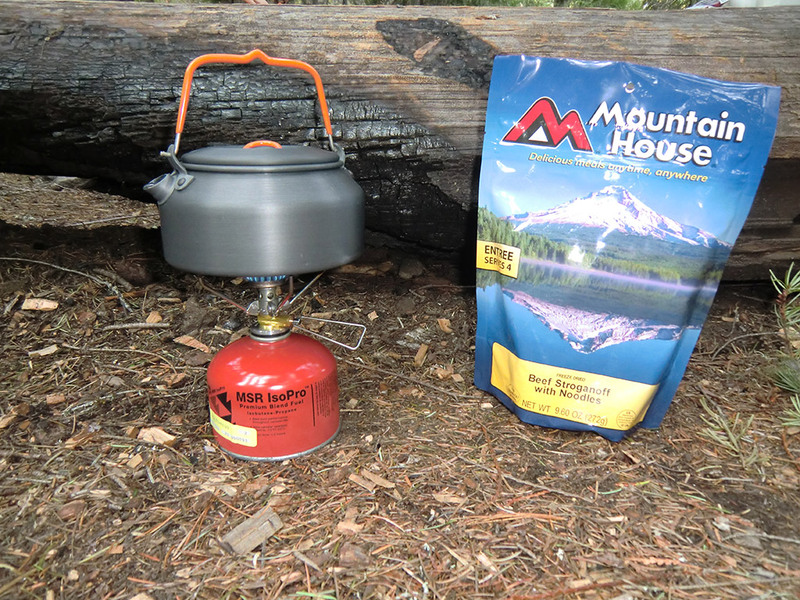 The GSI Outdoors Halulite™ Tea Kettle is perfectly sized for ultralight backpacking. 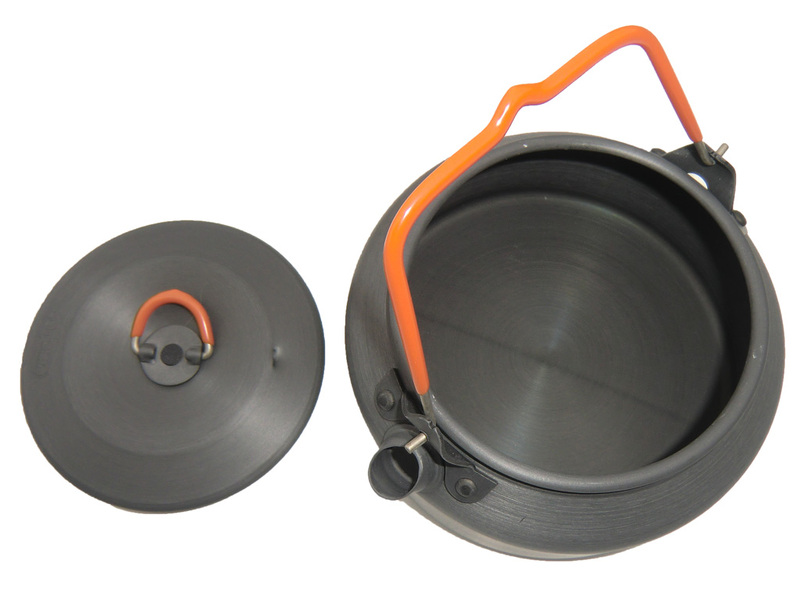 Features collapsible handle on kettle and lid for easy storage. 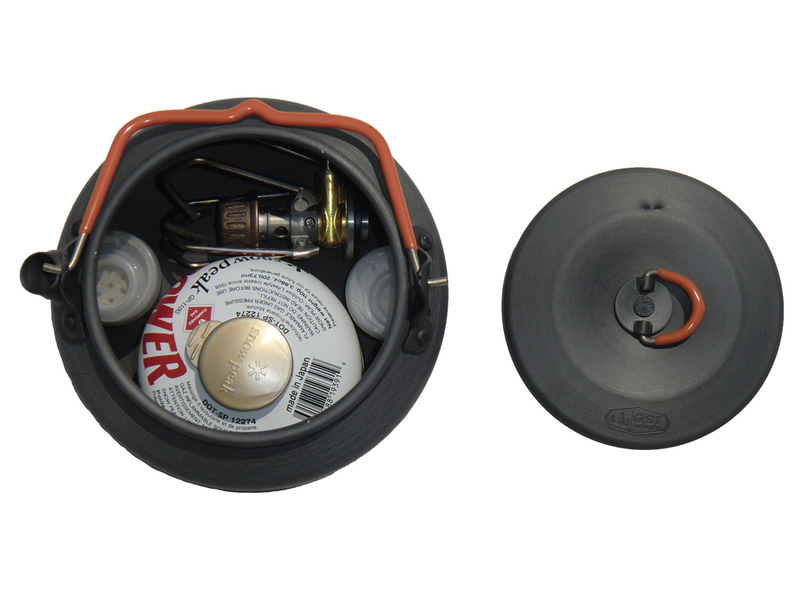 The one quart size is designed to work with ultralight stoves. According to the manufacturer, "Halulite says goodbye to scratches, burn circles and ounces. As light as Titanium, Halulite is a proprietary alloy that also conducts heat better and more evenly—so you can leave the extra fuel at home. Plus, every piece is Hard Anodized to create a surface that withstands scratches and abrasions like nothing else." Size: 6.3 in. x 6 in. x 3.2 in. I try to keep things simple and light when it comes to preparing meals while backpacking and thus consume a lot of freeze-dried meals. The GSI Outdoors Halulite (hard anodized aluminum alloy) tea kettle is perfect for boiling water for freeze-dried meals. It is very light, compact, and sturdy. The finish appears very durable. The one quart capacity is perfect for two people and safely sits atop my Snow Peak GigaPower stove. The handle is comfortable to grasp and remains firmly upright until stowed. I have been using my GSI Outdoors tea kettle for a couple years now. I love how lite and durable it is. It doesn't scratch or dent very easily (I have no dents so far). It is stable on my stove whether half- or completely full of water. My only complaint is it is difficult to boil exactly one quart of water. When filled with one quart the water level reaches the edge of the spout. As it comes to a boil, water bubbles out the spout. If GSI would made the kettle taller, one could boil a full quart more easily. A taller kettle would also allow storage of a 220 gram fuel canister (currently it will only hold a 110 gram canister). For a solo hiker, this may not be an issue; but for my wife and I, this design is a slight annoyance. 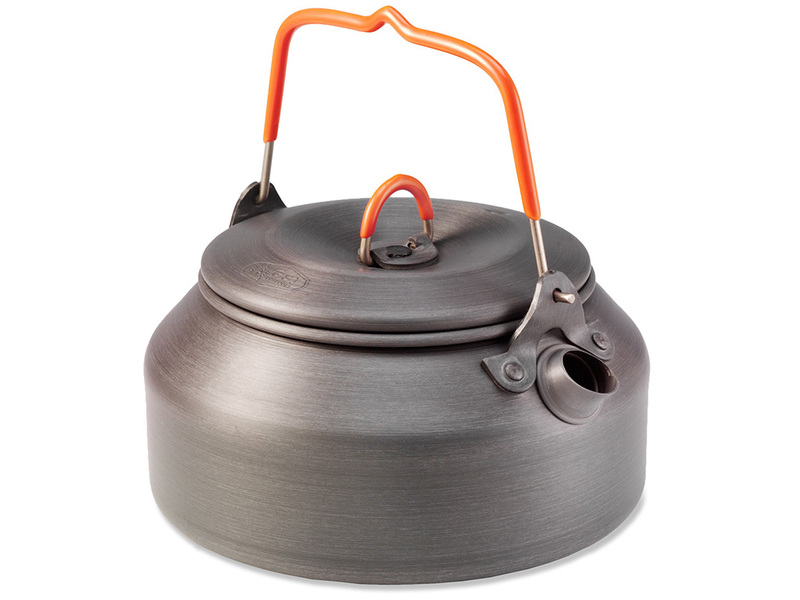 See Badger Creek adventure where the GSI Outdoors Tea Kettle was used. 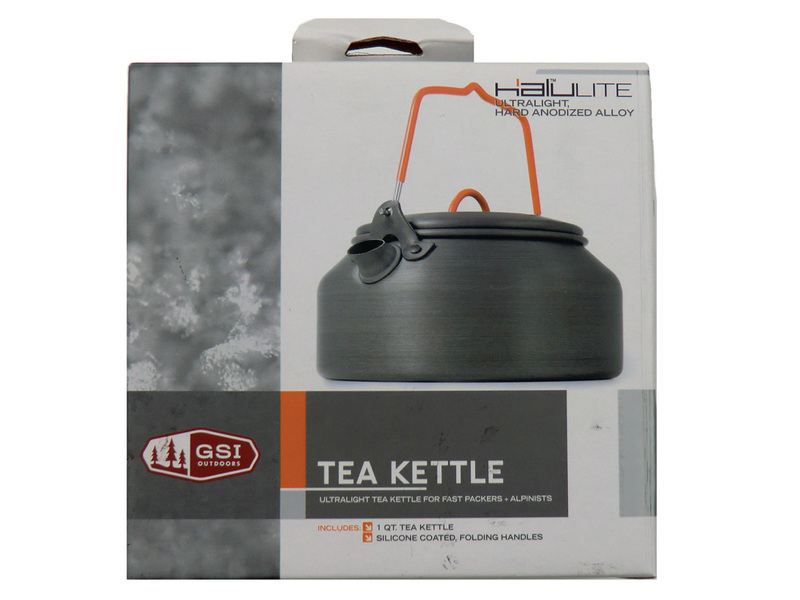 I have always been happy with the GSI Outdoors Halulite Tea Kettle. It is lightweight and compact. 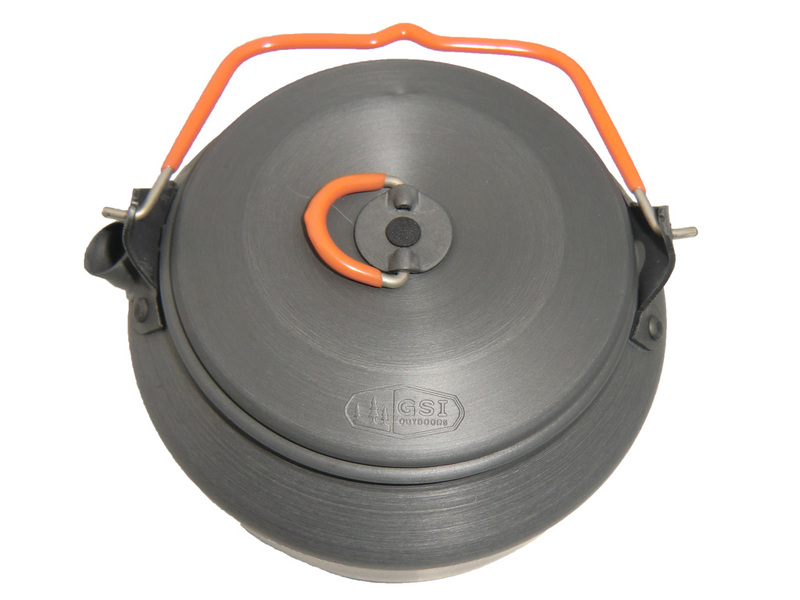 I recommend it to ultralight backpackers whose cooking needs do not go beyond boiling water. Available from amazon.com.